10 Cute and Easy Hairstyles For Kids - The Co.
I’ve been needing some extra cuddles lately, so my daughter and I have been spending a chunk of our day watching Sesame Street celebrity music videos together at the kitchen table after lunch (note: this is a great way to get your kids to eat their vegetables!). Naturally, the novelty wears off after about 5 minutes for me, but since my daughter loves watching her furry little friends belt out “Outdoors” with Jason Mraz over and over (and over!) again, I’ve started to try my hand at French-braiding her hair to keep me from falling asleep. Naturally, this led to an evening in front of my laptop searching for more complex hairstyles for kids to try, and before I knew it, I had stumbled upon a channel called Cute Girls Hairstyles. Have you heard of this channel? It’s FILLED with awesome tutorials to teach you (and me!) 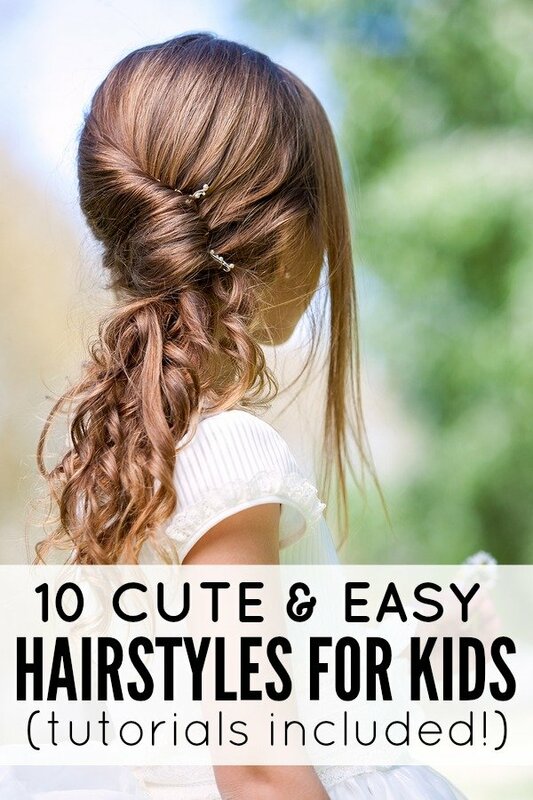 cute and easy hairstyles for kids, and I cannot get over how easy they are to do. Here are 10 of my favorites – good luck! If you like these cute and easy hairstyles for kids as much as we do, please share them on Pinterest! And if you’re looking for more hairstyles for you and your kids, please follow our Hair board where we share all kinds of great ideas to keep you looking trendy year-round! Dani is a 30-something freelance writer and social media consultant who has an unhealthy love for makeup, hair, and fashion. She lives with her husband and 4-year-old daughter in Toronto, Canada and hopes to move to a warmer climate someday. Preferably tomorrow. This is an excerpt from the article 10 Cute and Easy Hairstyles For Kids which originally appeared on http://www.cloudywithachanceofwine.com/. WHOSE VACATION IS IT ANYWAY?